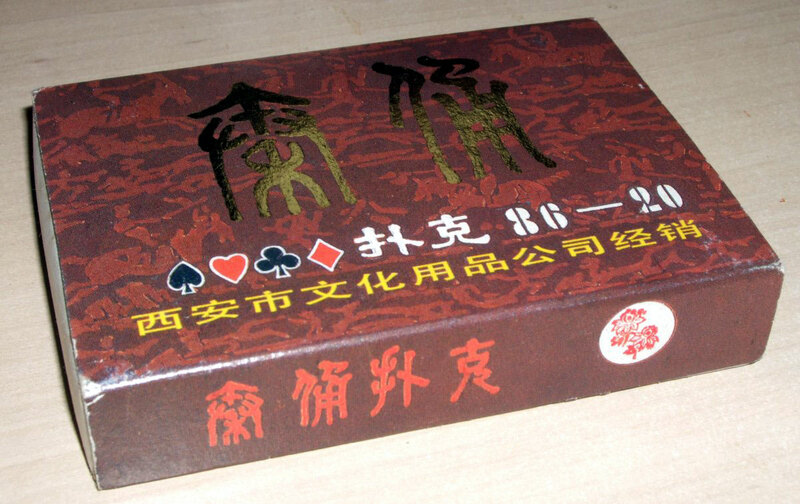 This pack identifies itself in English along one side of the box► simply as “Post Playing Cards”. 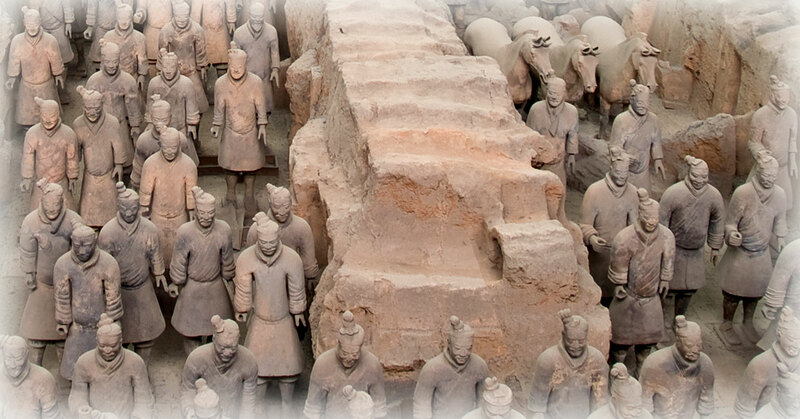 Each card has a different photo of elements of the terracotta army. 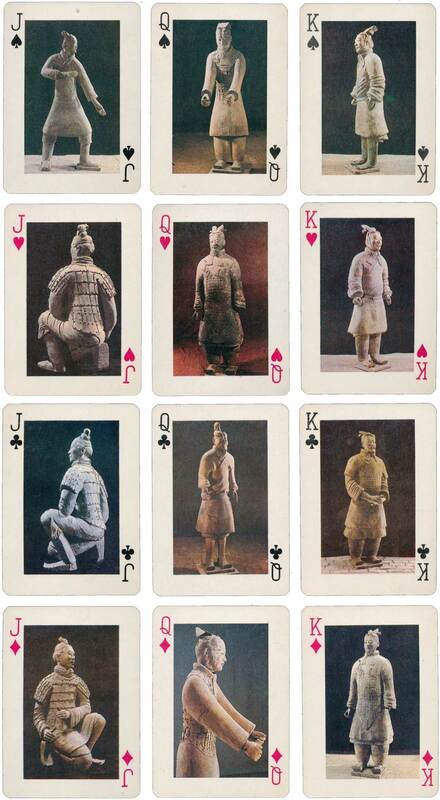 Above: Post Playing Cards featuring photos of the terracotta army. 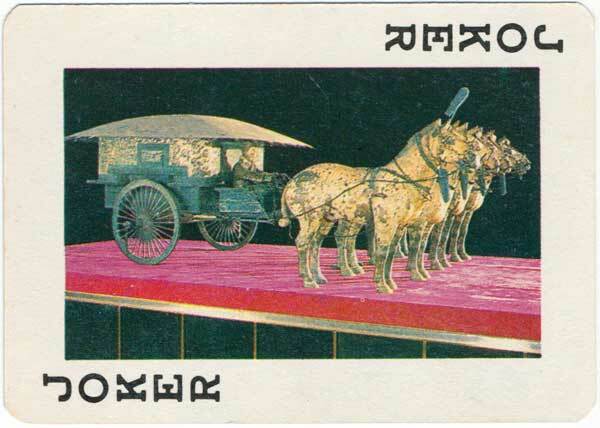 The cards are not terribly well printed - the shade of the backs varies, and some cards are printed upside down (the back has a uni-directional design which occurs both ways up relative to the fronts). Images courtesy Matt Probert.